In order to trigger this quest you must first complete the Rune Crafting quest, which requires completing the associated Operation at the War Table (it's found in the north of Ferelden). Once you've been introduced to Dagna you can create masterwork weapons and armour, which are a cut above the usual stuff - but which also require some extra-special materials. Create one such item to finish the quest. 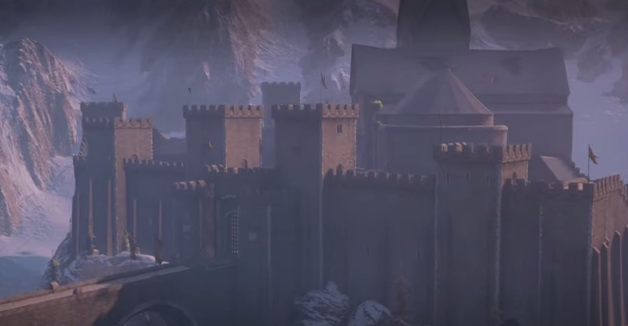 Check the lower courtyard of Skyhold. You'll find a spot labelled 'Look for Cole' near the stairs. Inspect it to see a cut scene between other party members, regarding Cole. Once you speak to Cole you'll have the option to let him join the Inquisition properly or kick him out. This triggers whether you chose the Mages or the Templars as allies for sealing the Breach earlier in the game. Speak to Cassandra in the courtyard, after watching her showdown with Varric over Hawke. She'll be reading one of Varric's books, and you can tease her about it - or possibly get romantic. Either way, she'll ask the Inquisitor to speak to Varric about continuing his book series. Talk to Varric about it and he'll agree to write the rest of the book (flattering his writing ability will give you an approval boost), though he insists on being present when she gets the book. She'll greatly approve of the gesture. Easy stuff. Check out the Skyhold Customization desk in the Undercroft (the furthest desk here, and the most visible) to complete the quest. The Undercroft is located to the right of the throne. Storm Coast. The first is in the far east of Apostate's Landing, which itself is almost directly east of Small Grove Camp. Look southeast of the Astrarium for a small tent which you can ping. Nice and easy. Visit the War Table and complete an Operation for bringing an Arcanist on-board. The Operation is found in the north of Ferelden. This will recruit Danga to the Undercroft, working alongside Harritt. Her presence will unlock Rune Crafting in the normal Crafting menus; create a Rune of any kind to complete the quest. You'll need a Blank Runestone to create new Runestones, and you can get them from Bonny Sims, the merchant in Skyhold's lower courtyard. Another easy one. Visit your blacksmith - he's in the Undercroft, to the right of the throne in the main hall - and visit the War Room, down the hall from the throne and on the right. Leo of Lucien, in the Western Approach. Gordon the Frank, in the Emprise du Lion. Jepler the Unbound, in the Emerald Graves. Ser Rebenger Torn, in the Hinterlands. Ser Hildebrandt, in the Exalted Plains.